TruVista’s Broadband Internet and Data solutions offer a wide range of services, including metro Ethernet (up to 10 Gbps). All are designed to meet the most demanding business environments. Just like yours. We love crowds! Providing Wireless connectivity to a large number of mobile devices in venues like stadiums, city streets, or parks can be tough. But the MR84 from Cisco takes care of that providing the highest density support, a blazing multigigabit uplink for heavy data loads, self-healing mesh, dynamic tuning to automatically optimize RF in congested environments, built-in security, a slew of features to help you selectively tune your RF environments and integrated location-based analytics to help you understand the foot traffic and behavior of connected clients across your sites. You can welcome your customers with ease ensuring their experience is positive. Learn More Here. Our BYOD Solution provides out-of-the box visibility, security and control over your BYOD environment. 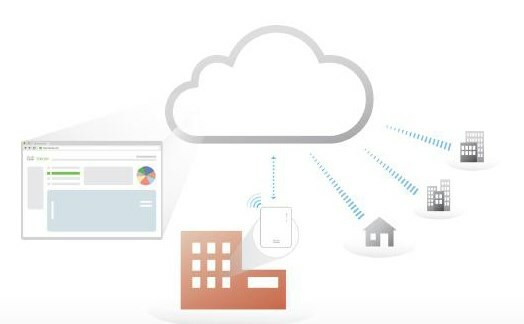 Support the growing number of client devices on your network with Cisco’s Meraki Wireless APs and MDM toolset built for BYOD. Gain a rich understanding of the new devices on your network and the applications they are using, secure your network by controlling what applications and resources clients can access, prevent network meltdown with dynamic RF optimization and layer 7 QoS and scalably onboard BYOD clients, setting access policies, applying security settings, and deploying enterprise applications. Learn More Here. Let one of our business consultants provide you with a competitive quote based on YOUR needs.